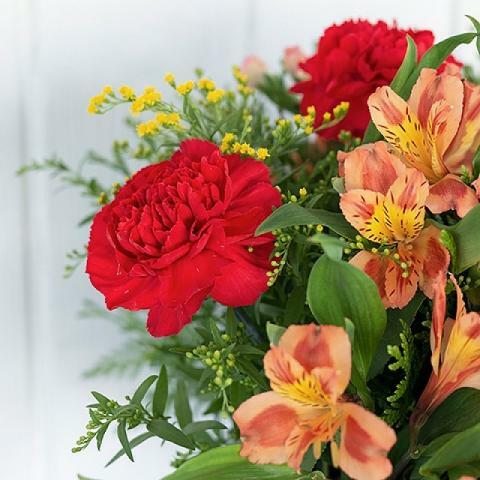 Make someone's Autumn twice as colourful with this stylish combination of red and orange carnations with alstroemerias. 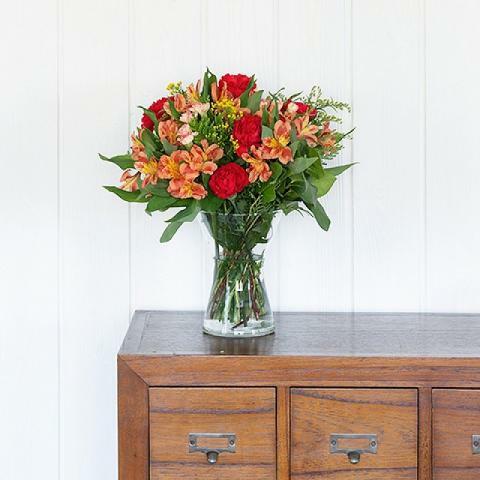 With our international delivery service, this attractive bouquet can be the perfect gift for someone special's birthday or anniversary. 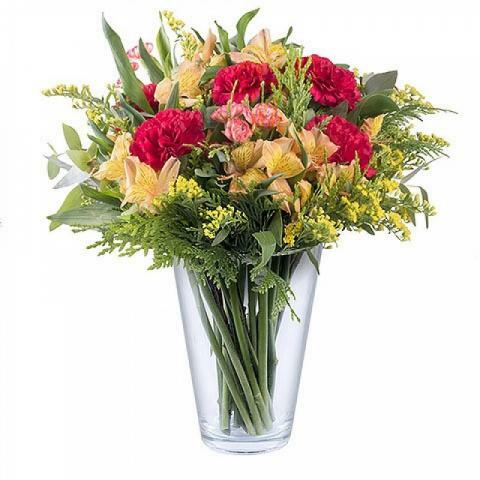 Excellent service, & delivery dead on time.